Much of the UK suffered from high air pollution for most of last week, grabbing headlines as never before with several regions topping the government’s Daily Air Quality Index at “high” or “very high”. The exotic addition of Saharan dust proved convenient for some, who seemed grateful of having something else to blame it on. David Cameron was criticised for dismissing it as a “naturally occurring weather phenomenon“, despite scientists agreeing that the Saharan dust made only a small contribution and much of the pollution came from local sources and mainland Europe. 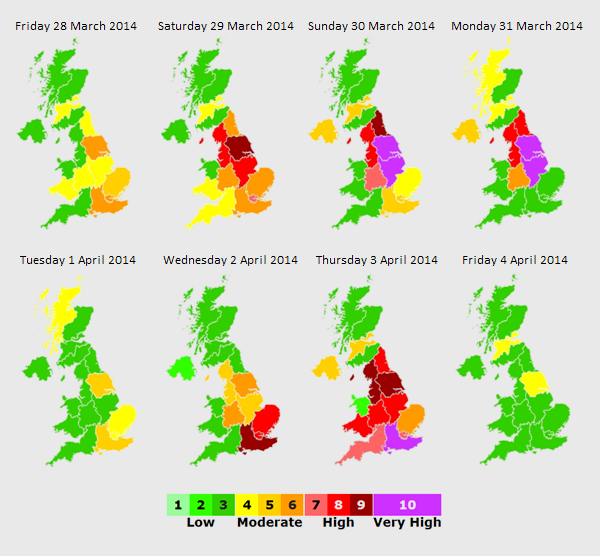 Read Alan Andrews’ blog – ’10 things we learned from this week’s smog’. On Wednesday we decided to investigate and went out in central London to measure levels of ultrafine particles. These particles provide an indicator of pollution from road traffic sources rather than the coarser particulates that would be blown in from the Sahara and across the Channel from Europe. They are also of particular concern as they are more likely to pass through the lining of our lungs and absorbed into our circulatory system. The WHO has stated that there are no safe limits for particulate matter pollution but our expert Dr. Axel Friedrich estimated that a “good city background” for ultrafine particulates would be between 2,000 to 3,000 particles per cubic centimetre (pc/ccm), which he has measured in cities like Berlin. On our walk on Wednesday afternoon we measured ultrafine particulate levels between 21,000 and 131,000 pc/ccm. The lowest readings were seven to ten times higher than the “good city background”, and on similar walks in Beijing, Hong Kong and Manila he has found levels between 20,000 to 60,000 pc/ccm. So we certainly could do better. Despite the Saharan dust and imported pollution, it is clear that we still have plenty of home grown pollution to warrant greater action. We started off by the heart of Government – 1 Parliament Street, Parliament Square. Here we recorded levels of ultrafine particles from 28,000 to 131,000 pc/ccm. This is an area that civil servants and MPs frequently pass to go to meetings or access Westminster tube station and where many tourists hang out taking photos of Parliament. What was very notable was the difference in readings caused by the different vehicles passing: the mostly filtered London buses and then the largely unfiltered diesel vans, lorries and tourist buses and coaches. We then walked down Victoria Street, where Transport for London’s offices sit amongst other government agencies, as well as a few construction sites that are another source of air pollution in the ever changing capital. Measurements here ranged from 23,000 to 51,000 pc/ccm. Next we walked around Victoria station, where at the front there was a tour bus with its engine idling. We were sneakily looking for the taxi rank and ended up walking down Buckingham Palace Road and through the station. We finally found the taxi rank on Bridge Place and were happily surprised to see that most of the taxis seemed to be waiting with their engines turned off. So the readings only went up when they took on passengers and started their engines. Levels around the station ranged from 21,000 to 65,000 pc/ccm. From Victoria Station we headed to Buckingham Palace which was recently found to have one of the highest levels of nitrogen dioxide pollution in the UK. The monitor measured levels of ultrafine particles of up to 82,000 pc/ccm, which is not surprising with all the taxis and coaches dropping off tourists keen to glimpse a view of the Queen. Of course levels went down as we walked through St James’s Park but were still between 16,000 to 18,000 pc/ccm, which is six to nine times higher than you would hope. We walked through Horse Guards Parade and up Whitehall towards Trafalgar Square. With all the traffic lights the flow of traffic was intermittent but with many buses, taxis, coaches and vans passing through. Levels of ultrafine particles were found to be between 20,600 and 29,600 pc/ccm. Our last stop was Piccadilly Circus and whilst Eros was covered up there were still plenty of people hanging out and checking out the famous lights. We measured levels of 24,000 to 59,000 pc/ccm – unsurprising with the amount of traffic that flows through. After our tour of London’s busy streets, I was looking forward to cycling back to the quiet streets around home. My name is Michael Glasser. I work for a start-up called BreezoMeter based out of Tel Aviv. We are developing a location based app platform enabling users to monitor air quality in real time. In order to move forward with development, we need to gain access to API’s for the UK. I am wondering which organisation Healthy Air went through in order to gather API metadata for air monitoring stations? Thanks for your question. 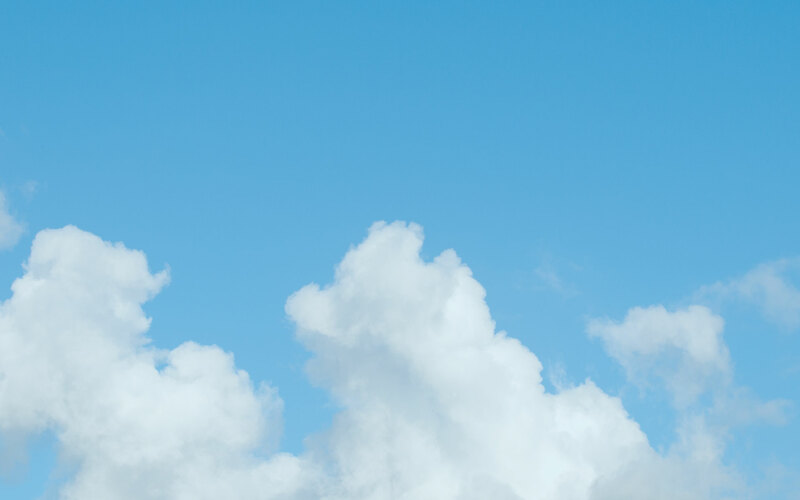 At Healthy Air, we don’t monitor air quality; we use a number of resources, such as London Air, to study the UK’s air.